Green Valley Organic Spices (G.O.S.P) is a certified organic spice trading company of India, based in Siddapura, Uttara Kannada district, Karnataka State. 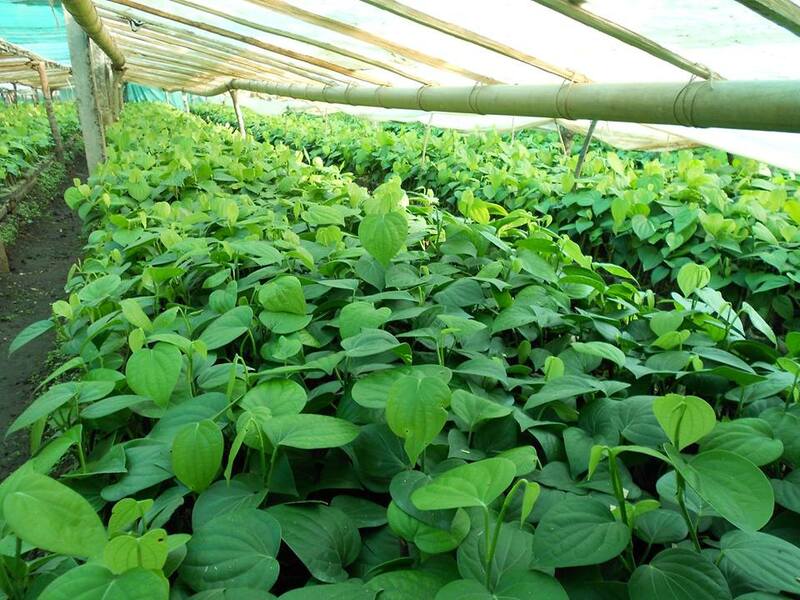 It is a complete solution for organic farming, production and marketing. G.O.S.P has grown into a leading organisation in the region by the excellent companionship of two persons. The company runs under the leadership of two directors, Raghavendra Shastry and Ramakrishna Hegde. After completing his B.E in Chemical Engineering Raghavendra Shastry stepped into the field of agriculture. He is an organic farmer living in a small village called BIlagi, Uttara Kannada in the Karnataka State. Areca nut, paddy, vanilla, coconut, and spices are mainly grown in his farm. Green Valley Organic Spices is his dream child, a common gateway for local organic farmers to get into the domestic and global market. 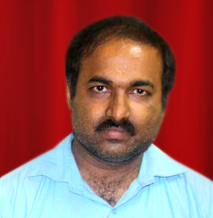 Ramakrishna Hegde has done post graduation in Economics. He is a progressive organic farmer living in a small village called Alagod, in the Siddapur Tehsil, Karnataka State. Areca nut, Pineapple, Vanilla, Paddy, coconut and Spices are mainly grown in his farm. Successful collaboration with a network of 6 organic farmer associations under the mother NGO called Malenadu Savayava Krishi Parivara has been an important milestone for G.O.S.P. All farmers involved in the collaboration are certified organic farmers now. The region comprising Siddapura, Sirsi, and Yellapura tehsils has turned into an organic farming belt. We are the proud owners of a company that has set a pathway for educated young minds of rural India. G.O.S.P started its career in 2008 as a producer company involving progressive farmers belonging to Uttara Kannada district located in the Western Ghats of Karnataka. The company involves 6 farmer associations. More than 100 farmers are enrolled in each of these associations and the area under organic cultivation covers more than 1500 hectares of land. 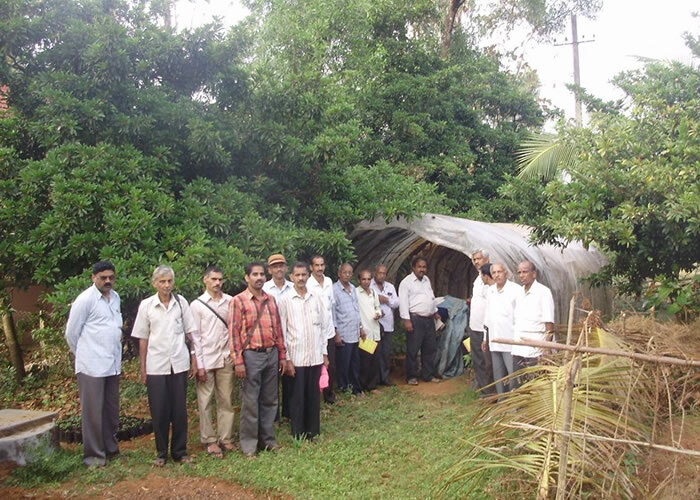 We do counselling with these farmers regarding organic cultivation and its benefits. We have maintained excellent relationship with the farmers in building awareness about new trends in organic cultivation and processing and we have ensured a proper marketing for their products. This explains why we are trusted. Green Valley Organic Spices also takes up Organic Certification programme for the local farmers by helping them to get Agmark and Fair trade certification. Our main products are Vanilla, Black and white pepper, Turmeric, Cloves, Cardamom, Nutmeg and Ginger. We also trade Red rice, dried banana, Honey, Garcinea combodgia, Garcinea indica and Bird eye chilli. We ensure hygienically processed, carefully graded and vacuum packed products. We also ensure global standard products with APEDA accredited national lab tests.